We all know what it’s like to have an idea strike gold on the first try. We also all know the feeling when something takes multiple ideas, attempts, and changes to get to the final product. Unsurprisingly, actors, directors, and producers in Hollywood face the exact same issue. Sometimes, a script or cast member is perfect the first time. Other times, a last-minute change is necessary to make it right. These movie changes happened at the last second and we’re so glad they did. Just the thought of these films turning out a different way makes us cringe. Read on and find out how your favorite movies ended up the way they are. 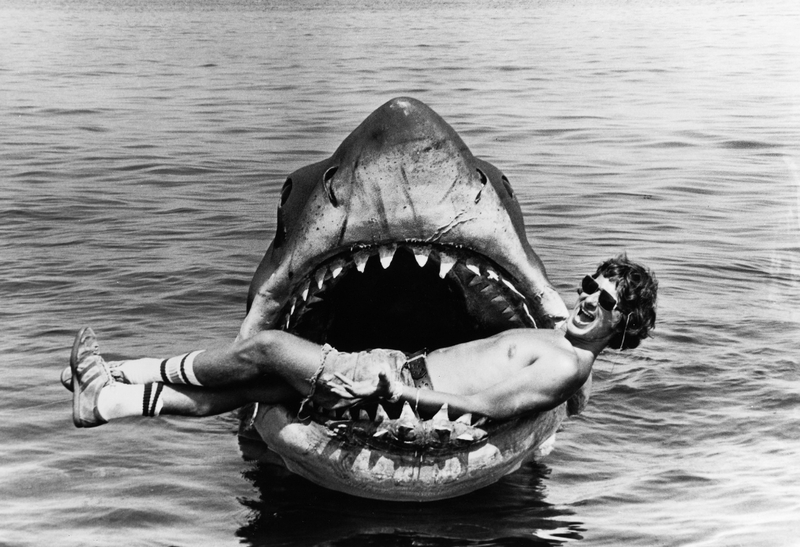 Steven Spielberg was still just an up-and-coming director when he was tasked with directing Jaws. The movie studio wanted to use real footage of a shark for the movie, but Spielberg insisted on building a mechanical one. Unfortunately, the mechanical shark often malfunctioned and was broken after only a week of filming. As a result, Spielberg had to leave many scenes showing the shark out, which left the film with a much better, much more ominous feeling. 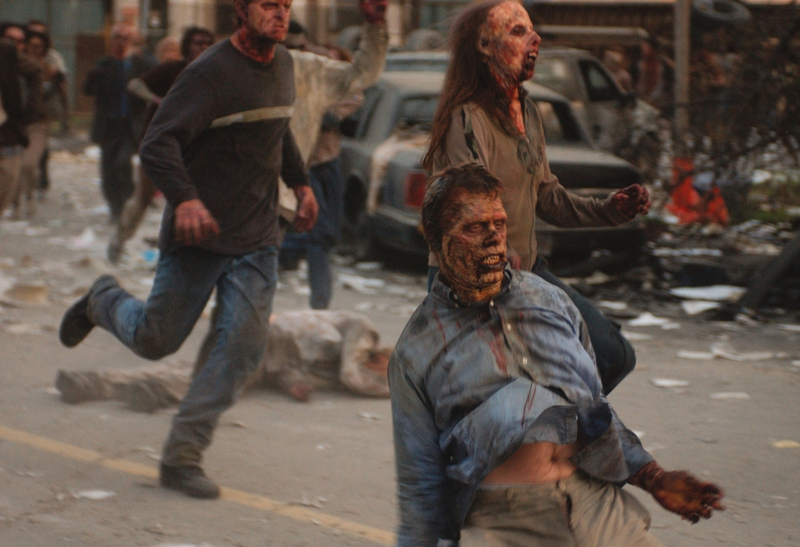 The original ending for the iconic zombie horror film featured the leftover survivors committing mass suicide. They all agreed that dying together is better than becoming zombies. Hollywood decided that ending was a little too bleak, and made the writers change it so that the survivors fight off the zombies instead. It might be a bit more cheesy, but it gave audiences a good feeling knowing that if zombies becoming real one day, we might stand a chance. 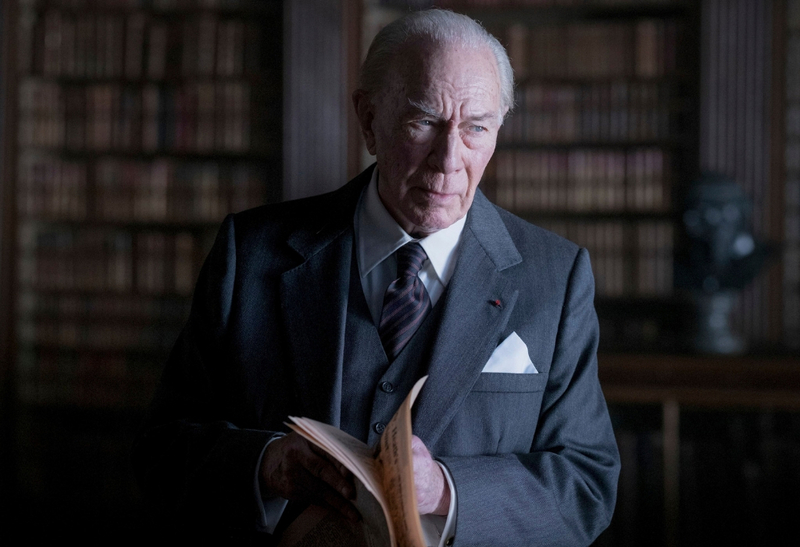 Recasts are common in Hollywood, but when devastating accusations about Kevin Spacey started coming to light, producers for All The Money In The World had no choice but to give him the ax…one month before the movie was set to release. Christopher Plumber was quickly hired and shot all of Spacey’s scenes in just nine days. The film was still released on schedule and many praised the use of Plumber. 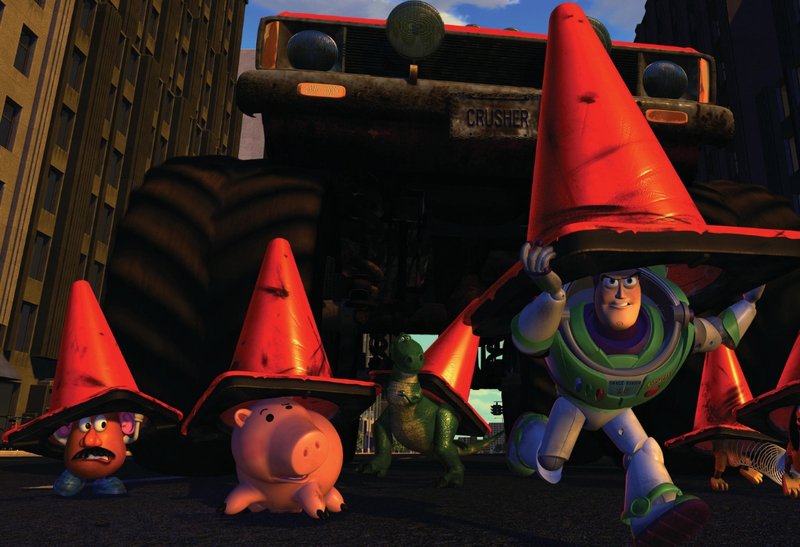 One of your favorite animated characters coming up was supposed to be much, much different. One important scene in Star Wars Episode III: Revenge of the Sith is when, after their epic duel, Obi-Wan Kenobi picks up and pockets Darth Vader’s lightsaber. The lightsaber is given to Luke Skywalker later on, so it was necessary that audiences know how it got into the hands of Obi-Wan. Director George Lucas never filmed the scene and didn’t realize until he was in the editing room that there was a gaping plot hole. They had to go back and re-film the scene so fans wouldn’t go crazy. 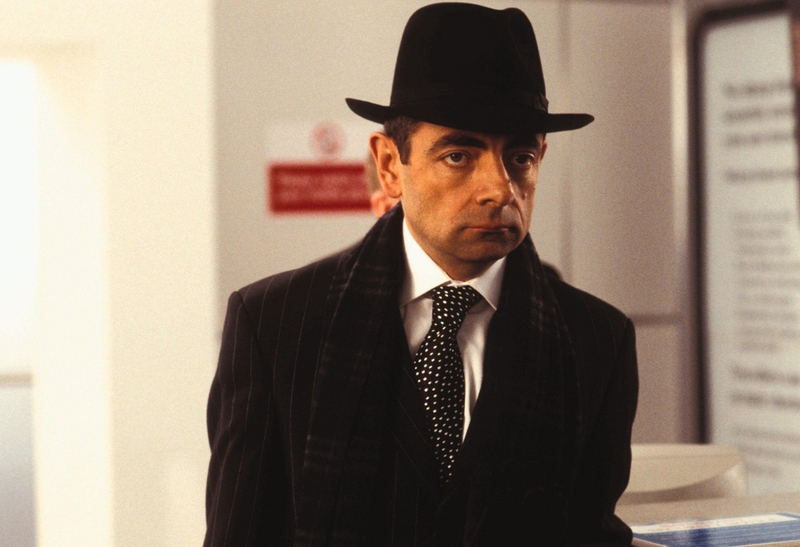 Rufus, the character played by Rowan Atkinson in the Christmas favorite Love Actually, was originally written in as a guardian angel. His actions helped the other characters find love and knock sense into them. The secret of Rufus being an angel was leaked, which made director Richard Curtis want to change the script. Thankfully, that meant turning Rufus into a normal everyday human which made us focus on the power of love, not the power of an angel. Woody From Toy Story Was Supposed To Be "A Jerk"
The Pixar production studio executives agreed that after Toy Story was completed, something just wasn’t right. They couldn’t figure out what it was until the voice of Woody, Tom Hanks, told them that his character was kind of "a jerk." Executives agreed that the main character needed to be way more likable. Writers had to completely change the script and Hanks went back in to re-record his lines. 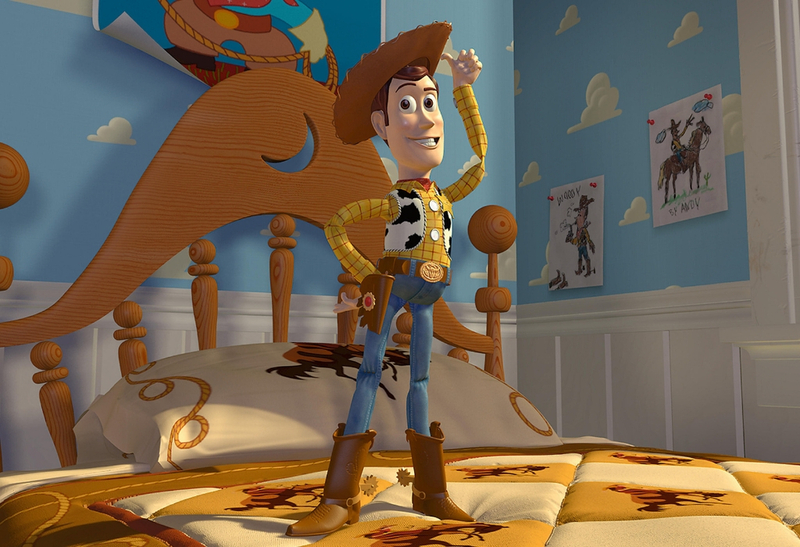 We’re happy they fixed Woody’s personality because the loveable cowboy makes the film that much better. Believe it or not, the main character of the franchise coming up was supposed to die in the first movie. In Indiana Jones: Raiders Of The Lost Ark, there’s a scene where Indy is pitted against a Persian assailant with a sword. 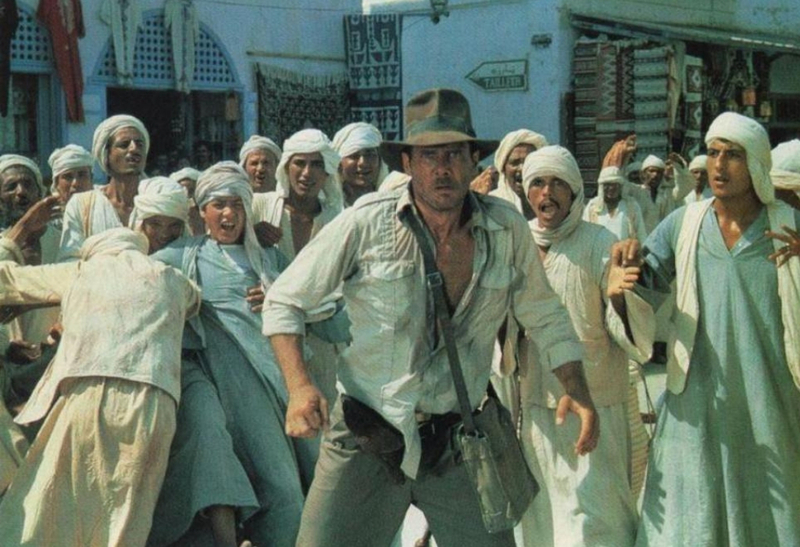 The original script called for an epic choreographed fight scene between the sword and Indy’s whip, but Ford came down sick just before filming. Steven Spielberg didn’t know how they would shoot the scene with Ford feeling so sick. Rather than cut it all together, Ford suggested: “Let’s just shoot the sucker.” The new scene goes down in history as a defining moment for the character. 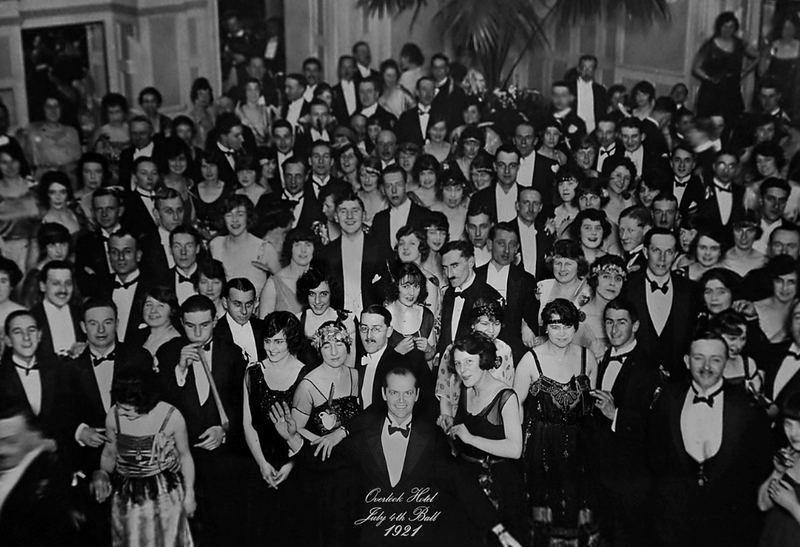 The final scene in The Shining shows Jack Torrance in a 1921 photo from the hotel, which has led fans to come up with multiple theories about the ambiguous ending. The original end to the film was actually much more detailed and had a full epilogue. Only one week before the premiere date, director Kubrick decided the detailed ending didn’t work. The change required theater projectionists to physically cut out the epilogue from the film reel and mail it back to Warner Bros. studio. 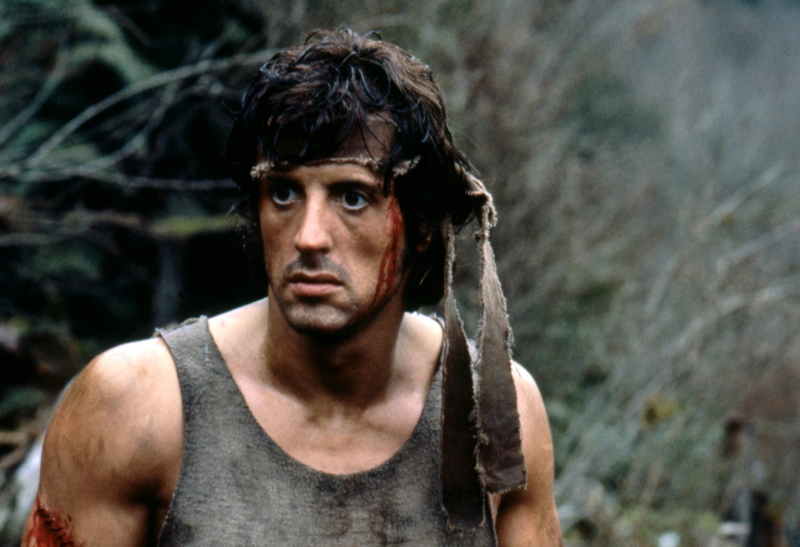 If the producers for Rambo: First Blood followed the book, they would have had to kill off Rambo in the final scene. They weren’t sure about it and chose instead to film two different ending and choose later. Test audiences hated the bleak ending of Rambo taking his own life, so they went with the one where Rambo just gets arrested. This was one of the few times that the softer version of a film worked way better. It also allowed them to keep the Rambo franchise alive. 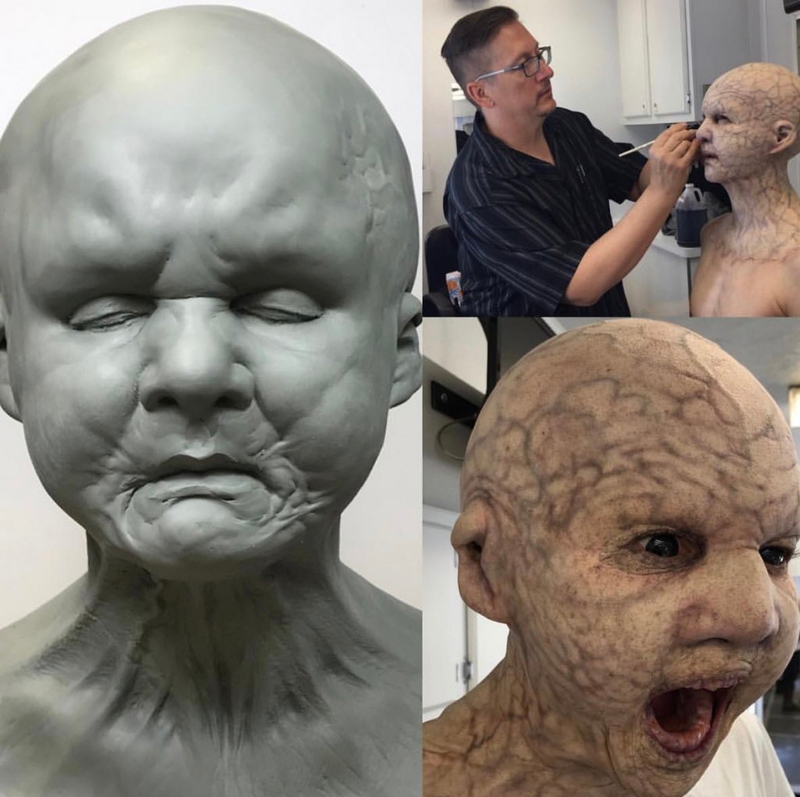 Keep reading to see what the monster from “Bird Box” was actually supposed to look like. The post-apocalyptic movie originally followed the ending to the book. 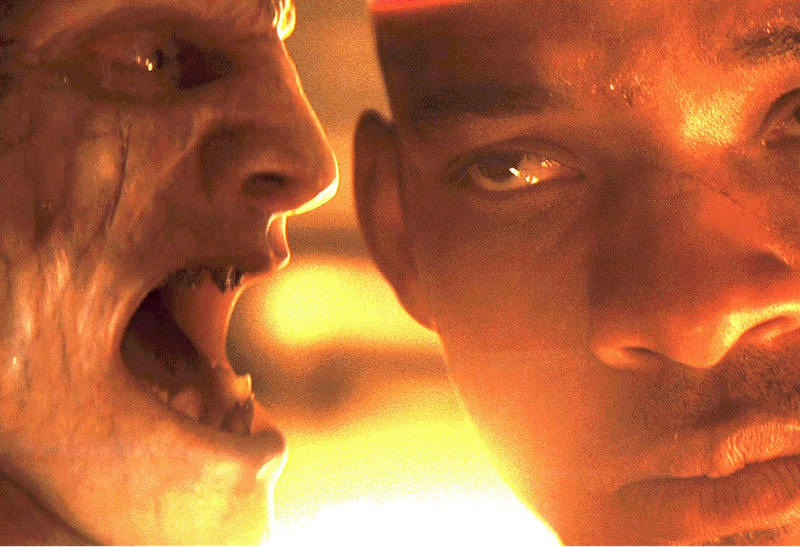 In the novel, I Am Legend, Will Smith’s character Robert is trapped and surrounded by vampires and instead of destroying them, finds out they’re kind and intelligent creatures just trying to find one of their kidnapped friends. That happy-go-lucky ending didn’t fly with movie executives. They changed it, so Robert goes out fighting and blasts himself, and the vampires, with a grenade. Believe it or not, when James Cameron thought up the script for the sci-fi classic The Terminator, he wanted the main character to be an average Joe. Cameron even had an actor, Lance Henriksen, lined up to play the part. Thankfully, Cameron happened to meet bodybuilder Arnold Schwarzenegger at another audition and completely changed his vision for the film. 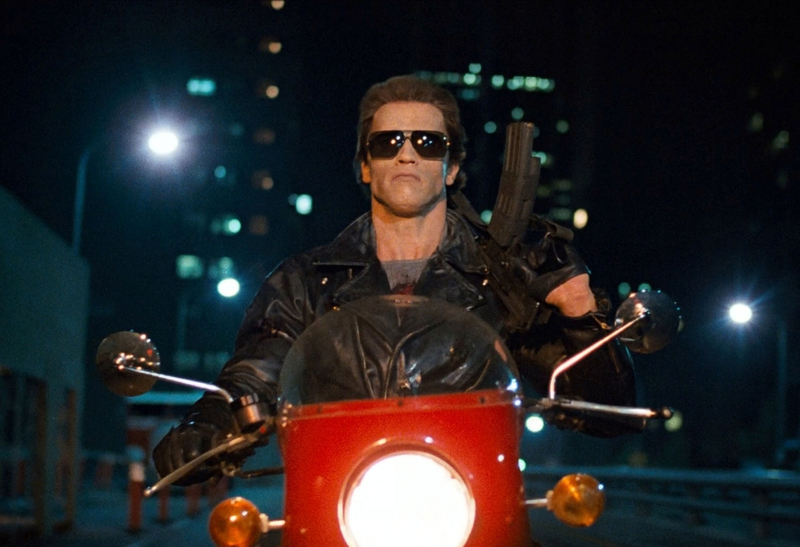 Henriksen might have been a good actor, but nothing could beat the giant robotic cop played by Schwarzenegger. The Netflix film Bird Box centered around a "mysterious force" that was causing people to go crazy and fatally harm themselves. The movie was centered around the fact that if you looked at the monster, you died. The movie never showed the monster and left it up to our imaginations to think up the scariest thing possible. Well, it turns out the producers had envisioned and created a monster, and it kind of looks like a large bald baby who is severely dehydrated. Luckily, they cut the monster out. Annie Hall won Woody Allen a Best Picture Academy Award and catapulted Diane Keaton to stardom, but it originally had a completely different script. 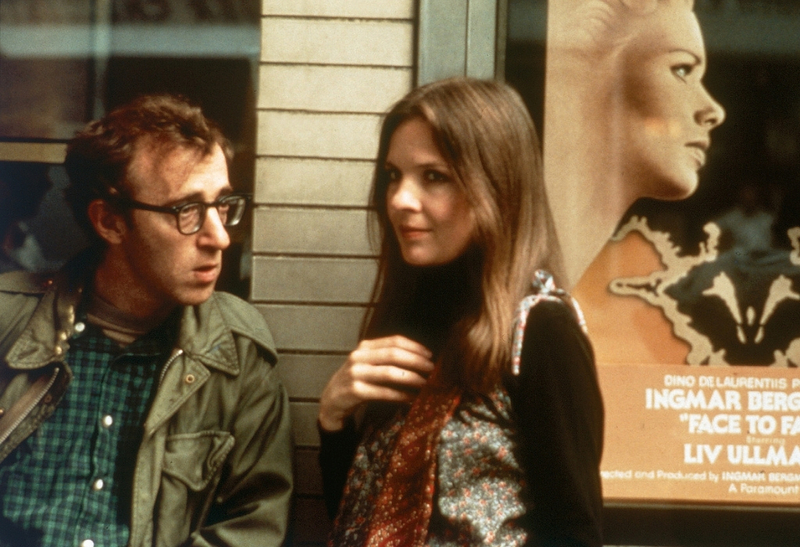 Allen wrote it to focus more on his character, Alvy, and Diane Keaton was only in a few brief scenes. It was only once Allen got to the editing room that he realized Keaton’s character was much more charismatic and so he went back and filmed more scenes with her. Even though we first met Michael J. Fox on Family Ties, it was his role as Marty McFly that made him a household name. Producers always wanted Fox for the role, but he turned them down because of a scheduling conflict. 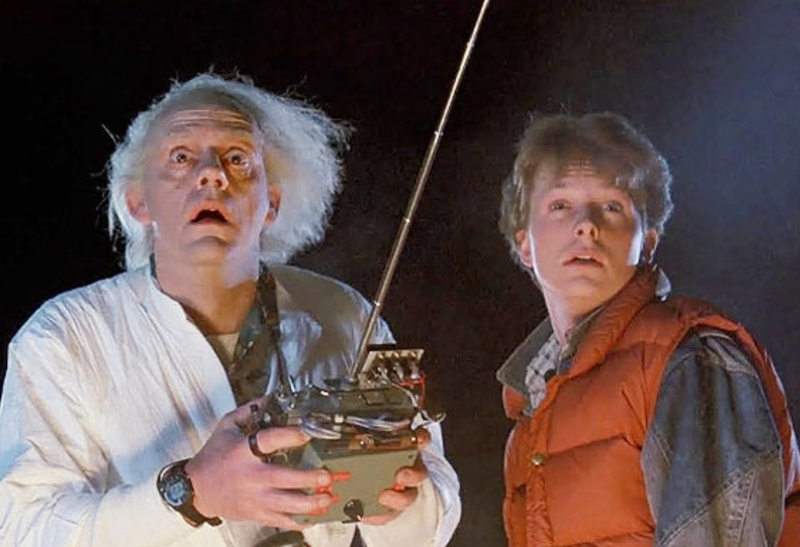 Back To The Future ended up casting Eric Stoltz in the role, which was fine, but they thought he was too serious. Halfway through filming, they decided to cut Stoltz, take a $3 million hit, and try to re-film now that Fox has a more flexible schedule. The last-minute gamble definitely paid off. 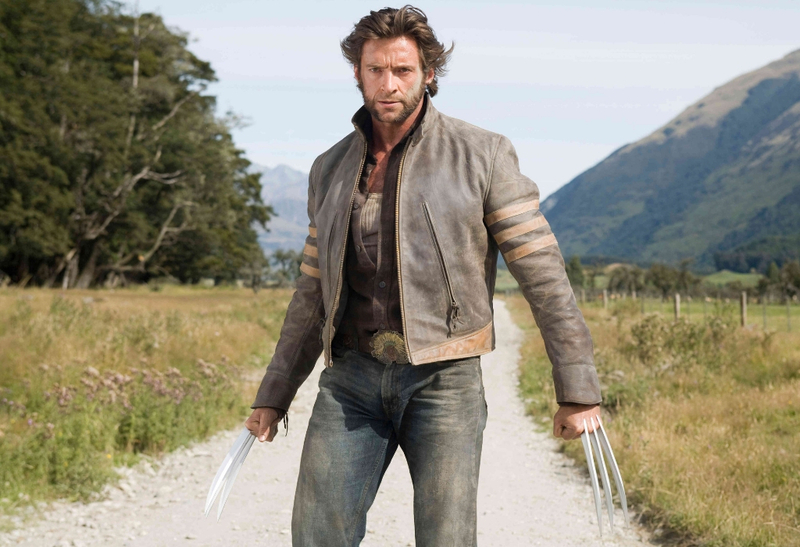 It’s hard to imagine anyone but Hugh Jackman playing the role of Wolverine, but it almost didn’t happen. Actor Dougray Scott was supposed to star as the three-clawed mutant. Thankfully (sorry, Scott) he had to back out last minute due to scheduling conflicts and producers were forced to find someone else. They were only three weeks away from editing when they cast Jackman. 18 years and nine movies later, we think it was one of the best last-minute changes. 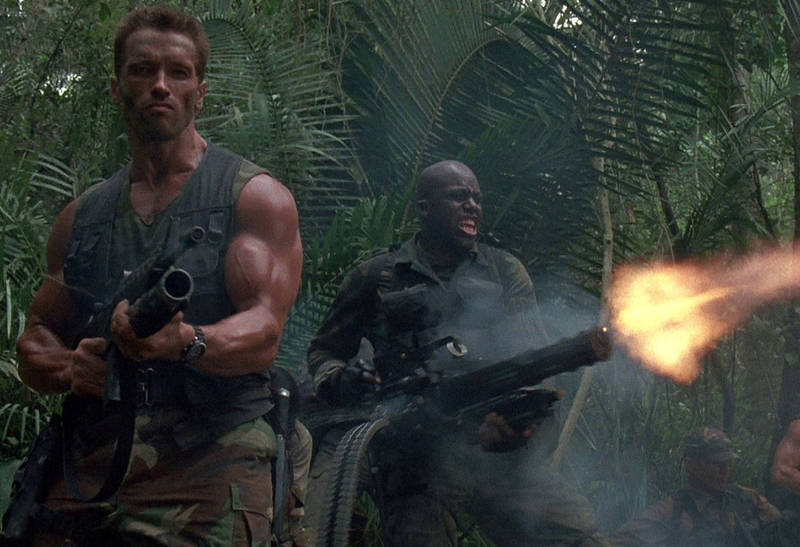 One of the most memorable scenes from the 1987 action film Predator is when the platoon soldiers open fire at nothing but trees. The scenes might seem like a sequence showing off their power, but it was more about showing off firepower. Studio executives wanted the movie to feature more guns. The director thought that was unfair to market to kids, but executives won and the scene was added in. 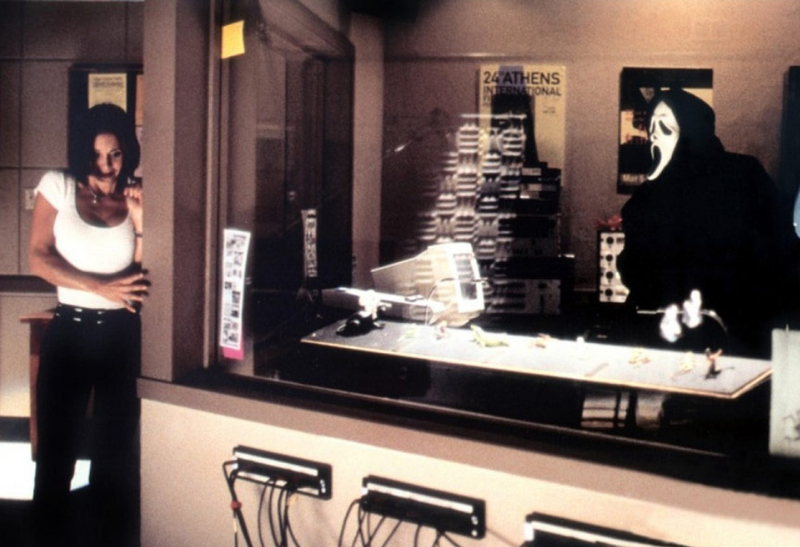 While filming Scream 2, the director and head writer got a shock when they found out the entire script—including who dies and who is the villain—was leaked online. The two had to work on the fly to come up with an entirely new plotline and ending for the film. The writers would run pages over to the director who would adjust the script as the actors performed. The final cut ended up with a much more suspenseful ending and a plot twist that made the sequel actually live up to the original. 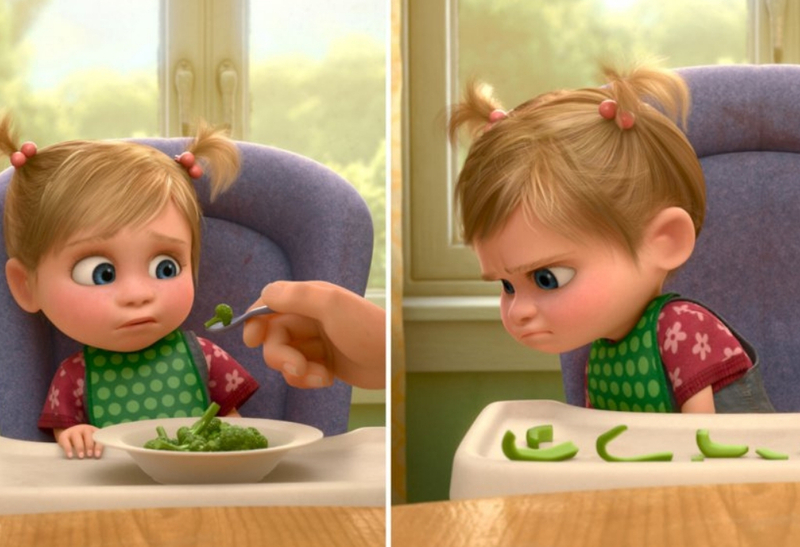 In the film Inside Out, there’s one scene where the main character Riley refuses to eat a bowl of broccoli. Right before Pixar released the film in Japan, they realized there was a huge mistake and rushed to the editing room. Pixar changed the broccoli to bell peppers because, in Japan, children tend to unanimously love broccoli. It wouldn’t have made sense for them to show a kid hating broccoli. 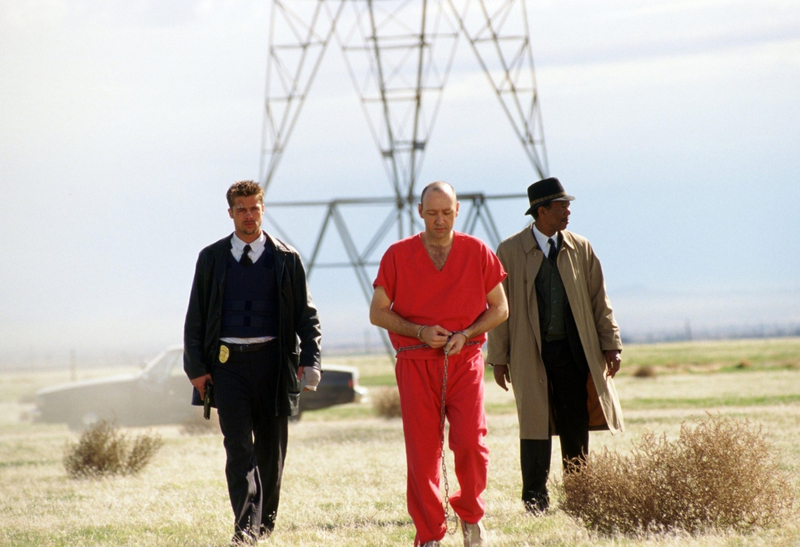 It’s common for directors and studios to fight but the disagreement about the ending of Se7en was entirely by accident. The script New Line Cinema sent director David Fincher included the disturbing and bleak ending to the film we know and love today, but they meant to send a different one. Once Fincher saw the script though he knew it couldn’t change. The studio suggested multiple different endings, but Fincher, and even the star Brad Pitt, thankfully fought against it. With a book and movie trilogy as epic as The Lord of the Rings, it’s surprising to find out how much the producers struggled so much with a major character. Both Daniel Day-Lewis and Nicolas Cage were lined up and ready to play the role of Aragorn in the franchise and both dropped out last minute. Finally, they got Irish actor Stuart Townsend to play the role. 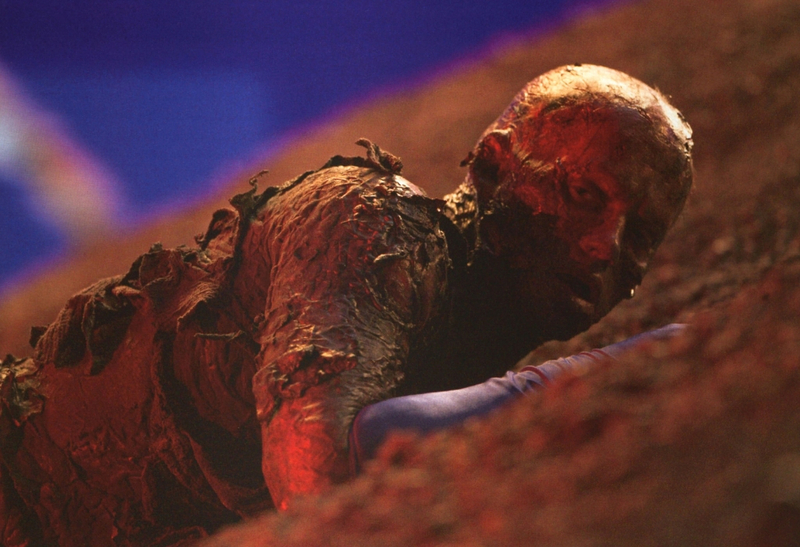 Townsend trained for months and when he arrived on set, director Peter Jackson abruptly fired him. 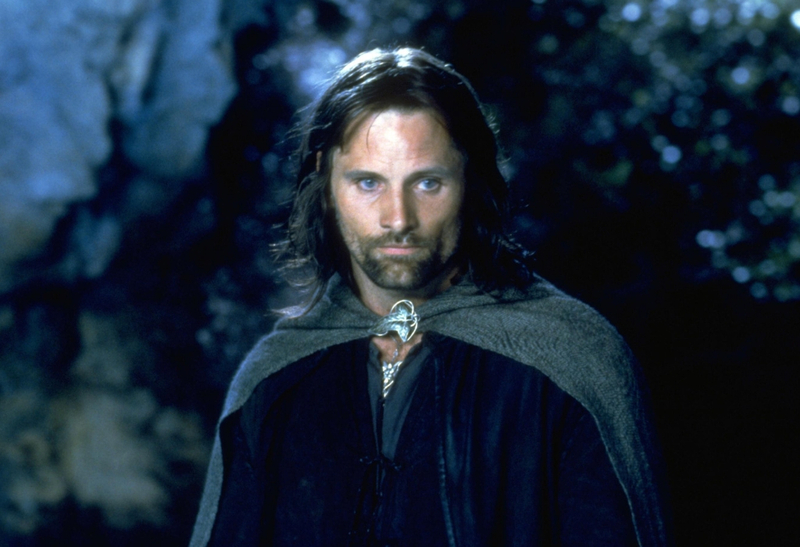 Viggo Mortensen was hired to replace him three days later and mastered the character without training. 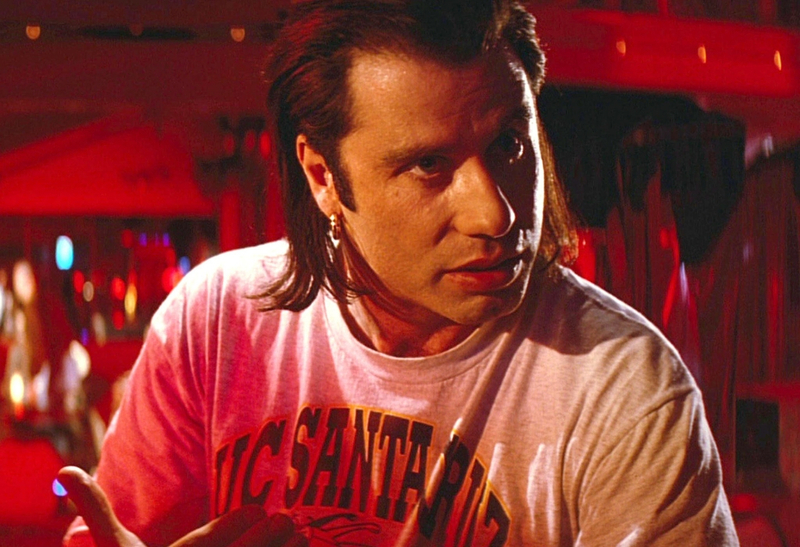 The main role of Vincent Vega in Pulp Fiction was eventually given to John Travolta, but that wasn’t Quentin Tarantino’s original intention. In fact, the entire script was written around actor Michael Madsen playing Vega. Madsen was ready and set for filming, but pulled a fast one on Tarantino and decided to star in the film Wyatt Earp instead. Left feeling betrayed and with less than enough time to comfortably recast, Tarantino called up Travolta, who ended up bringing the perfect charm to the character. 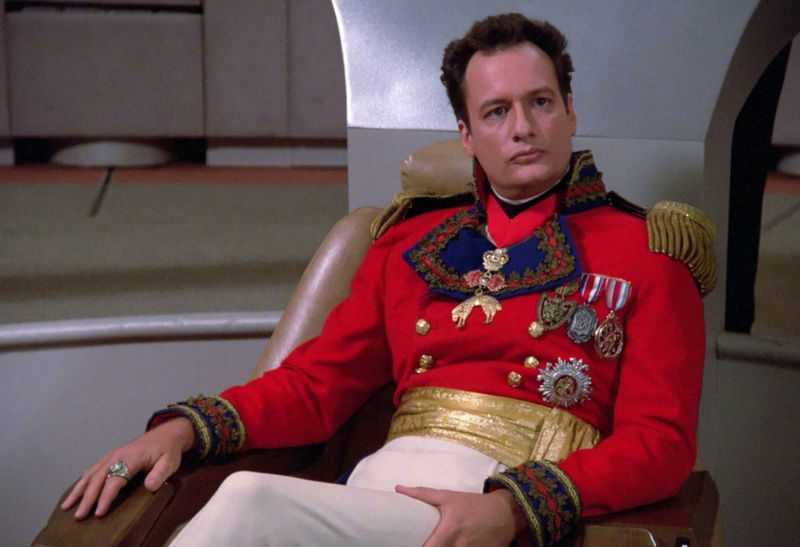 There were several failed attempts to bring the Star Trek franchise back onto the big and small screen after the original series ended, but it wasn’t until Star Trek: The Next Generation that they had a fighting chance. The problem was the hype around the show was too great. Paramount demanded that the pilot episode be two hours, not one, to please fans. The director, Gene Roddenberry, had no idea how to fill an extra hour, so he created a brand new character Q. Looking back, Trekkies agree that the episodes featuring Q kept the show alive for the first few seasons. 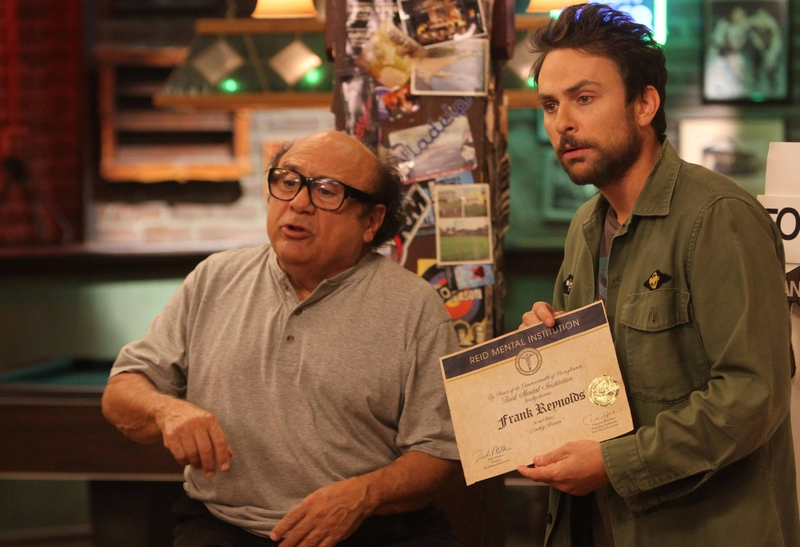 The first season of It’s Always Sunny In Philadelphia was praised by critics but was too niche to become mainstream. The studio told the show’s creators they wouldn’t renew it for another season unless they added a famous actor to the cast. The creators struggled for months to find the right fit. Luckily, at the last minute, they managed to cast Danny DeVito as Frank Reynolds. Even though DeVito is a big ticket name, his quirky character marked the turning point for the show. Lost was a riddle wrapped in a mystery inside an enigma, and that’s why fans loved it so much. Half of the reason why the final season was panned is that it revealed a subpar explanation for the show. To avoid future disappointment, at one point in season two, the show creators wanted to tease to audiences that everything was happening in Hurley’s head. ABC executives thought without a mystery, people would stop tuning in. They lobbied the creators to cut out the scene at the last minute which in the end, fans appreciated. The director for American History X initially wanted the film to end with Derek shaving his head and returning back to his neo-Nazi ways after his brother Danny was killed. That ending would have made it to theaters too if it wasn’t for actor Edward Norton’s say. He believed that his character returning to anger and hatred wasn’t in line with the film and rallied New Line Cinema onto his side. Norton ended up getting his way and the director grudgingly had to reshoot the scenes just before the premiere. Six months after finishing shooting for the film Life of Pi, director Ang Lee decided out of nowhere that they couldn’t have Tobey Maguire in the cast because he was just too recognizable. Maguire originally played the role of the journalist interviewing Pi for his story. 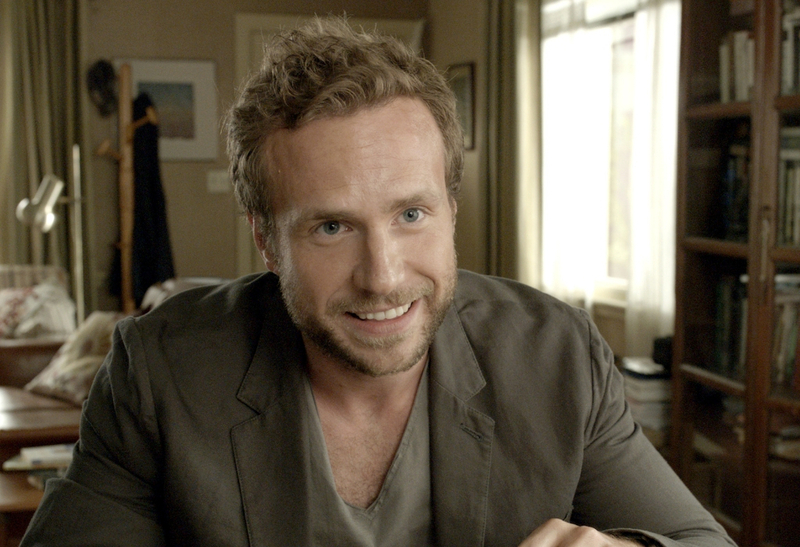 They ended up replaced Maguire with a relatively unknown actor, Rafe Spall. Critics agreed later that seeing such a famous face like Maguire’s showing up every few scenes would detract from Pi’s incredible story. Marvel movies are known for always leaving a tidbit of information or teasing their next film in a bonus scene that plays during the credits. 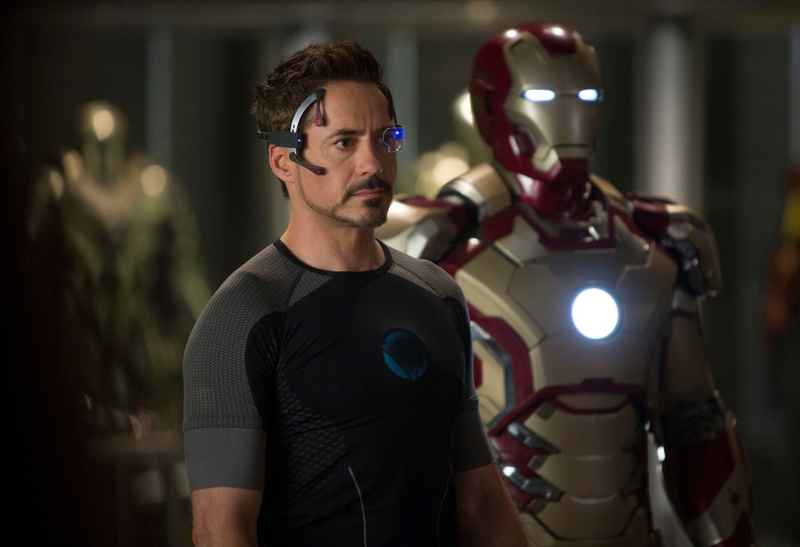 The end credit scene for Iron Man 3 shows Tony Stark narrating the film and relaying the story to his friend, Bruce Banner. Fans were a little disappointed that it didn’t give much away, but when Iron Man 3 was released, there weren’t many secrets to spill. In a desperate measure for a credit scene, Robert Downey Jr. thought up the idea after running into Mark Ruffalo only two months before the film was set to hit theaters. The ending for this strange indie flick sees the main character, Scott, end up getting the girl, Ramona, after defeating her seven evil exes. It’s the perfect ending to a weird video game-like film. The original ending had Scott defeat all the exes, only to turn his back on Ramona and return to being with his crazy ex-girlfriend. Test audiences hated it and writers were forced to change the script and re-film scenes only a few months before the film was set to release. Today we all understand how big of a franchise Toy Story is, but back in the ’90s, Pixar didn’t expect an animated film to have a successful sequel. When they began working on Toy Story 2, the studio planned to release it direct-to-video like The Lion King 1 1/2 and Cinderella II: Dreams Come True. Thankfully, a new executive stepped in at the right time and wanted Toy Story 2 released in theaters. The animation team only had nine months to create the entire film and add 22 minutes of script. 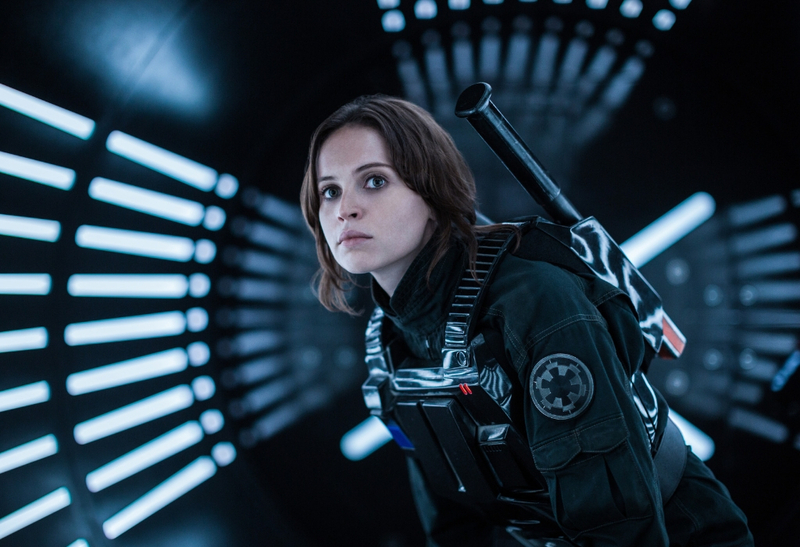 Eagle-eyed Star Wars fans might have noticed that a lot of footage from the trailers for the Star Wars spinoff film, Rogue One, didn’t appear anywhere in the actual film. That’s because months before release, they completely re-tooled the tragic ending. The production studio was worried it wasn’t strong—or tragic–enough and quickly hired a new screenwriter to rewrite the final scene. The conclusion was epic, but we’re curious what was originally planned.